I cringed when I overheard the eager mother ask the librarian for book suggestions for her young son. He had just begun to read fluently, she mentioned, and was in need of something to hold his literary attention. "Well, we have a wonderful selection of graphic novels that I'm sure he'll enjoy," came the reply. Really? Must we always default to graphic novels for boys assuming that they can't or won't read actual books? Now don't get me wrong. I think the graphic novel shelf at my library here in Mayberry has its place (way, way, way back in the dimly-lit, far corner...ahem!). Sadly, however, it has quietly invaded an entire section of the children's wing creating quite a disparaging forecast for societal ignorance...the tyranny of the trendy...if ya' ask me. Boys were made for more than this! I wanted to scream when the pair whizzed past me on their way to the "wonderful selection." They need more than just uncomplicated story-lines haphazardly pieced together with thought bubbles. They deserve better than Sunday morning comic strips masquerading as "novels." As that well-meaning mother perused the graphic novels, I hung my head. I looked around at all the wonderfully-captivating books in the library and wondered if her young son would ever have a chance to read some of the greats. Or if he would always be relegated to twaddle simply because no one had the forethought to point him in a different direction? I suppose I'll never know. One thing's for sure, though, had she asked me for a book suggestion that day, I would have offered up the following titles, a timeless collection of stories that every young boy MUST READ! A great list. My son read most of those when he was younger. Our town library isn't that great either, Adrienne. I mostly utilize our state's interlibrary loan system. I can order books from all across the state and have them delivered right to my branch. Just curious, how have you been finding these book titles? Whenever we stop in at a brick and mortar bookstore, we are overwhelmed with dragons, trendy tv characters, and whatever holiday of the month we are in.... Hard to weed out twaddle free selections. I added the titles we didn't already have into our wish list online so I can find them later. Most of the ones we own we do thanks to Sonlight. Good question, Adrienne. If you follow this link, you'll see a list of my favorite sources for book suggestions. I also talk books with friends all the time. Since we have similar values and world views, I can trust their suggestions and they can trust mine. Thank you for affirming what I always thought about graphic novels. They are taking over our library, too. Don't get me started. My kids can take home most books from the library, but I have to put my foot down on graphic novels. 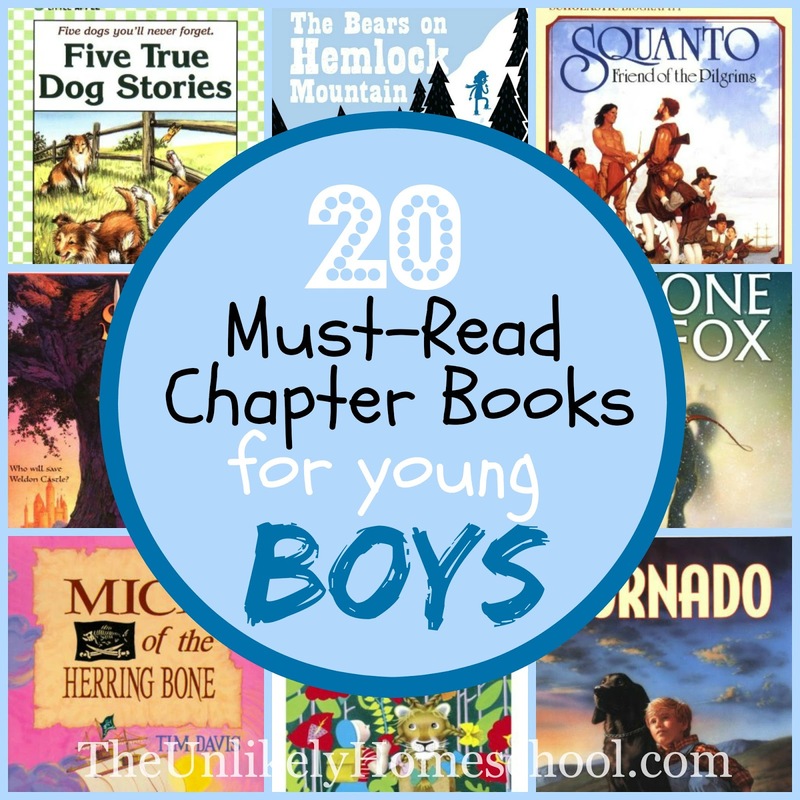 Hey, thanks for sharing this great list for boys! I'm saving to one of my Pinterest boards for future reference. My Side of the Mountain? That's been on our "Hope to read soon" list for quite a while. You've just reminded me. Thanks! Little Britches series by Ralph Moody is great too. Love this list, I'm just putting more books on hold at the library, and your site is always my go-to reference for updating my book list. Not a fan of graphic novels either, but Calvin and Hobbes definitely have gotten us past a few reading dry spells. Thanks, thanks!!!! I hope I can get some of them. I am a little surprised at this. I think there is a wonderful place for both in a child's life. I am curious as to how far into graphic novels you have explored. When they first came out, several that were indeed a bit mindless (for lack of a better work). Now there are so many that cover great issues and are sophisticated in plot. While this post just sounds a bit judgmental to me, I am sure it is not meant to be. You have no idea of that what that child liked, what the librarian actually showed that child, or what the parents ultimately checked out for their child. The fact that they had their child in a library at all should be celebrated. Hopefully, the child will find many books in the library that sparks his imagination. But, it is painful to hear someone discount a whole style of books. Great list of books, by the way. They are awesome! While I understand what you are saying here, I was disappointed in overhearing the entire conversation that the library did not once mention any books other than graphic novels. GN have their place. But, we should not default to them and only them. Boys CAN like real books. We should let them have the opportunity to be exposed to them. 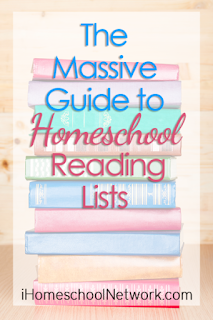 We've read a few of these already and I've just requested all the rest that the library has from your list! Thanks for the resource! Wow! This really makes me appreciate our library. The librarians always have the best suggestions. They ask the child what kinds of books they like then suggest others they think they will like. My daughter always loves their suggestions. Also, the graphic novels section is very small.